Ever wanted to turn a flat Cricut® shape into a 3-D element but didn’t know how? Watch the video to learn how easy it is to create beautiful 3-D embellishments from flat Close To My Heart Cricut® Artbooking shapes. It’s as easy as 1, 2, 3-D! 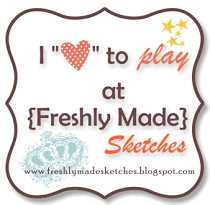 Come back and visit my blog on Wednesday to learn more about the different Cricut Collections. If you don’t own any of them, this is a great way to learn which one is the best for you to get started with.